Need for Speed DVD and Blu-ray release date was set for August 5, 2014. 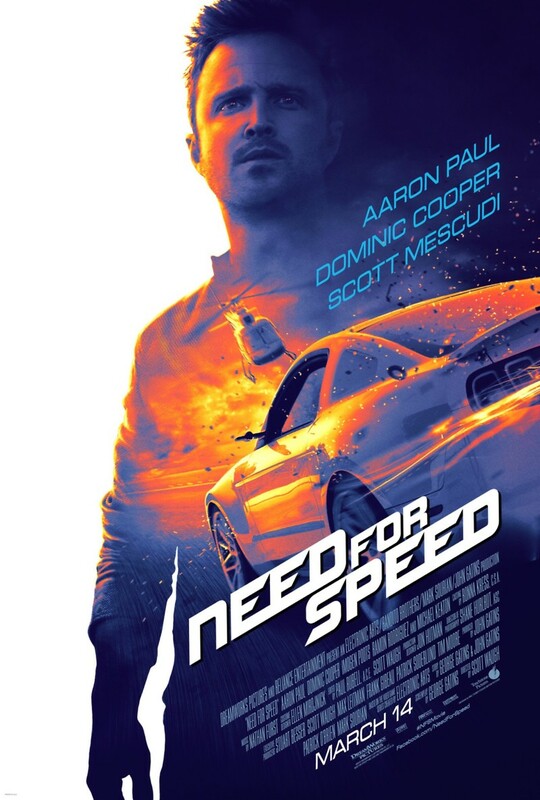 Need for Speed is the epic saga of Tobey Marshall, a working-class mechanic and highly skilled muscle car enthusiast, on his race for revenge. In a last-ditch effort to redeem his failing garage, Tobey pairs with pompous Dino Brewster, a highly successful NASCAR driver. After an unsanctioned race goes awry, Dino frames Tobey for manslaughter. Fresh out of prison two years later, Tobey is keen to avenge himself by defeating Dino in the De Leon – underground racing's biggest race. Avoiding cops and bounty hunters along his entire journey and backed by his loyal crew, Tobey races across the country defying odds and proving to the supercar world that there's still hope for the underdog.